The Church at Wormley had a dramatic beginning! On 25 May 1834 three students from a Bible College in Cheshunt distributed tracts to local villagers in Wormley inviting them to an open-air service the following week. On their return the local constable informed them that if they proceeded they would be locked up. The students visited a local magistrate who confirmed that their actions were illegal. They started the service with the constable taking down names of all present and the magistrate warning that fines would follow. The next day the students went to court and were told at a private hearing that any meeting of more than twenty people in an unlicensed room was illegal. Citing a case in Berkshire where open air preaching had been allowed they eventually won their case. The work continued in a small local cottage. 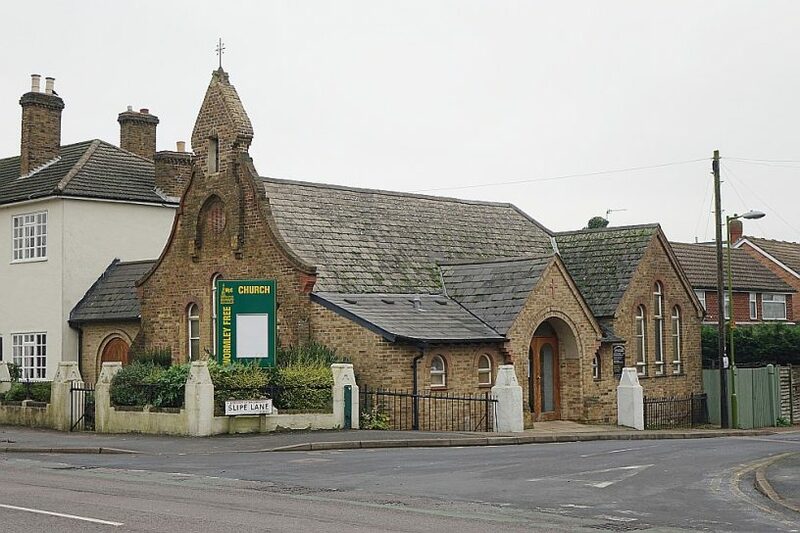 A chapel was built in 1860 and still stands at the top of Slipe Lane where it is still used for Sunday School, evening services and mid week activities. Apart from the period leading up to WWII, numbers attending were often small reflecting to size of Wormley as a village. In the late 1980s God began to move in quite a remarkable way, and a church of about six people at the point of closure began to witness growth with many people coming to faith for the first time. Members of the church built two extensions in 1994 and 1996 to accommodate the numbers attending. In the late 1990s Wormley began to look toward developing a new work in the large neighbouring town of Cheshunt and started holding evening services at Cheshunt Free Church. Alongside this a number of small groups were developed with outreach to Cheshunt as part of their focus. Our desire is to take the Christian message not only to the residents of Wormley, but also to the 40,000 inhabitants of Cheshunt. Eventually it was recognised that a larger building was needed for our morning services in Wormley. These moved to Wormley Community Centre in October 2001. In 2004 we moved our evening service from Cheshunt Free Church to Rosedale Free Church. As well as running our own services in the evening, we also helped run Rosedale’s own morning services. This partnership proved mutually beneficial; joint projects have included working alongside each other on a local On The Move mission, an Alpha Course and a Don Francisco concert. Our family today is still growing and becoming increasingly diverse, something we treasure. All ages and many nationalities are represented, with a particularly strong African contingent. Like our predecessors, we remain committed to mission, sharing our faith through word and deed, which is reflected in our links with Young Life, our Toddler Group, work with Christians Against Poverty, Street Pastors and the local Food Bank. As with other churches in the Connexion we support the Sierra Leone Mission, and our members have also worked on projects in places such as Romania, South Africa and Hungary. The work at Rosedale has also flourished with their becoming an independent church in the Connexion alongside us.